Torrington, in Litchfield County, is located in northwest Connecticut on the Naugatuck River. Originally called Mast Swamp for the pines harvested for use as ship masts, Torrington was settled in 1735, incorporated in 1740, and chartered as a city in 1923. In the years before the Civil War, Torringford, a section of Torrington, was a transportation center for the Underground Railroad. In the 19th century, Torrington was an industrial center for the manufacture of brass, needles, tacks, woolen cloth, and millwork. Litchfield County’s largest town, Torrington is home to the iconic Warner Theater located in the Downtown Torrington Historic District. Zeeland Productions. Pursuit of Precision: Documentry Film of the Hendey Machine Company. Torrington, CT, 2003. Link. “Burr Pond State Park.” Department of Energy & Environmental Protection, 2016. Link. “Hotchkiss-Flyer House Museum.” Torrington Historical Society, 2016. Link. “John A. Minetto State Park.” Department of Energy & Environmental Protection, 2016. Link. 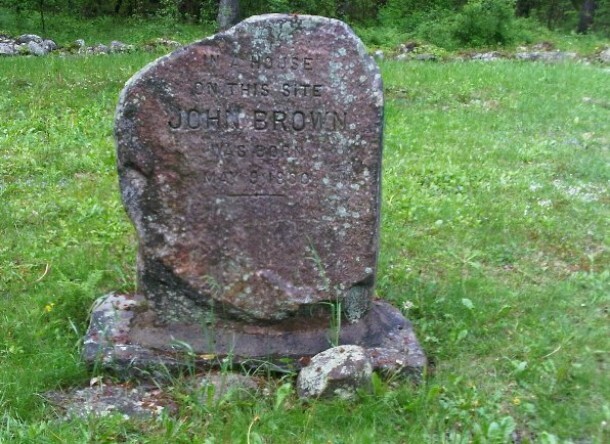 “John Brown Birthplace.” Torrington Historical Society, 2016. Link. “Paugnut State Forest.” Department of Energy & Environmental Protection, 2016. Link. “The John H. Thompson Memorial Library & Archives.” Torrington Historical Society, 2016. Link. “Torrington Historical Society,” 2017. Link. “Uriel Tuttle House.” Connecticut Freedom Trail, 2016. Link. Houston, John. “Map of the Town of Torrington.” Philadelphia, PA: Richard Clark, 1852. Connecticut History Illustrated, Connecticut Historical Society. Link. Lamb, Amherst. Patent US990660 - Chain Stich Looper for Lock Stitch Sewing Machine. 990,660. Torrington, CT, issued April 25, 1911. Link. Norris, George E. “Torrington, Connecticut. 1889.” Bird’s-eye. Brockton, MA: George E. Norris, 1889. University of Connecticut Libraries, Map and Geographic Information Center - MAGIC. Link. D. Bremner & Company. “Wolcottville, Conn.” Bird’s-eye. Boston, MA: O.H. Bailey & Company, ca 1875. Connecticut History Online, Connecticut Historical Society. Link. Orcutt, Samuel. History of Torrington, Connecticut, from Its First Settlement in 1737, with Biographies and Genealogies. Albany, NY: J. Munsell, Printer, 1878. Link. Torrington Historical Society, Bess Bailey, and Merrill Bailey. Torrington. 3 vols. Torrington, CT: Torrington Historical Society, 1975.